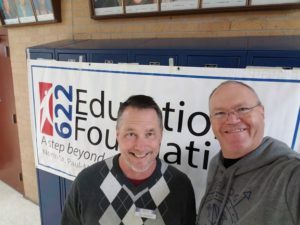 The 622 Education Foundation Board is always very appreciative to talk to interested individuals volunteering to serve on the Board of Directors. Guests are also welcome to attend our monthly Foundation Board meetings. The 622 Education Foundation relies on donations to keep the programs we provide for 622 students strong. The Foundation provides resources for such programs as our Angel Fund, to help families in need, as well as scholarships for District 622 students! Please come and learn more about us!